Visiting Indonesia? A resident? Interested in this wild and wacky and wonderful country? 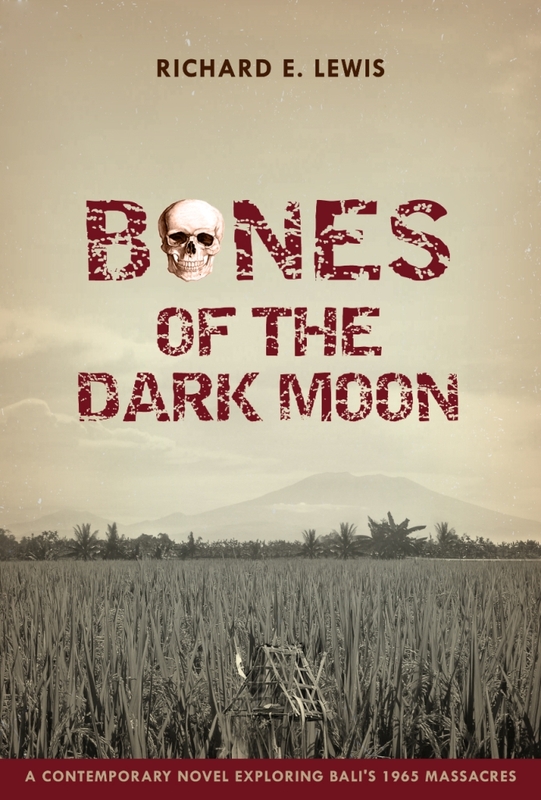 Bones of the Dark Moon not only presents contemporary Bali in a fresh way but also explains the terrible events of 1965, a dark episode that all visitors and residents should be aware of. — Goenawan Mohamad, founder and editor of Indonesia’s Tempo Magazine, International Editor of the Year 1999, recipient of the Dan David Prize award, 2006. Printed copies available for USD 25.00 (free shipping in Indonesia). Author’s email address for Paypal payment is richard at richardlewisauthor dot com. If you would like signed and personalized copies (as in “To Sally: Harry says you can drop in on him anytime”) please use the contact form below.